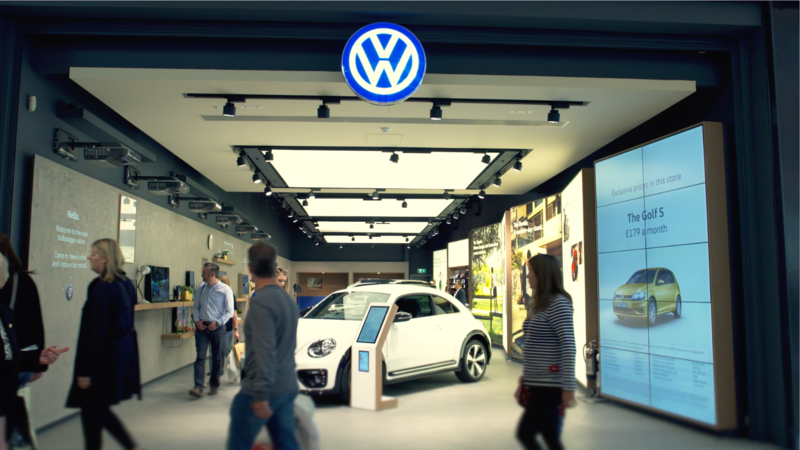 Volkswagen decided to launch their first shopping center store in Birmingham Bullring. 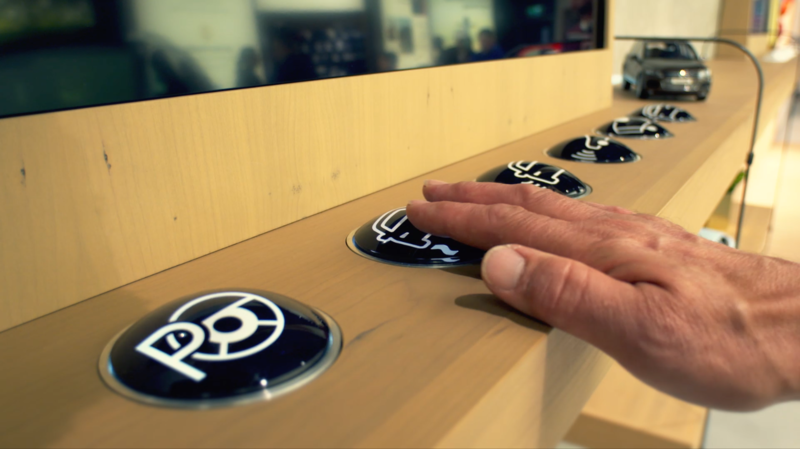 The store concept, designed by Dalziel and Pow, seeks to convey ‘the joy of Volkswagen life’ by connecting customers to the pleasures of car ownership. 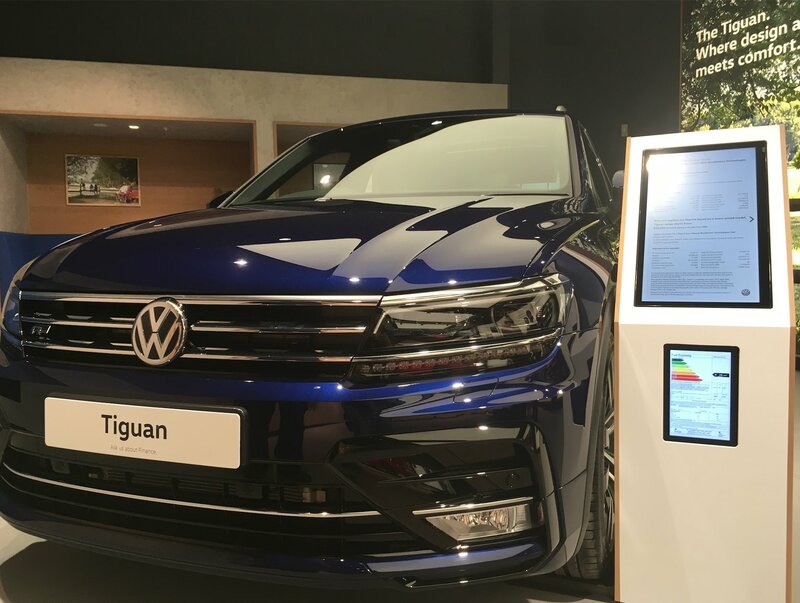 It targets the wide audience of Bullring visitors, encouraging them to engage with in-store stories and to arrange test drives from the Bullring car park. brand promotion and that allows customers to configure their own cars with a product expert. Building on our wide experience of Automotive retailing and previous installations, we began by building the digital wall one element at a time in our Woking workshops as a full scale evolving model. Rigorous testing enabled us to anticipate and then eliminate any potential problems and allowed the client, and our partners on the project to review progress and make any required changes before installation in the store. At the same time all other digital elements were being set up for content testing and refinement so that when project delivery came we were able to ensure a smooth and effective installation.